ConnectSport is working with the Sport for Development Coalition to create a monthly 'call for articles' around a particular theme. Throughout January 2019 articles will focus on 'Building stronger communities through sport and physical activity'. 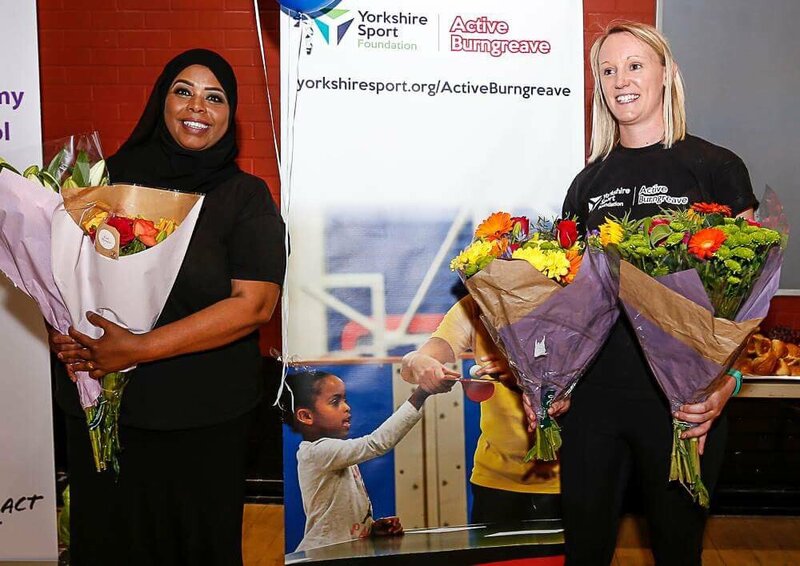 Here Kathryn Mudge, Development Manager at Yorkshire Sport Foundation, talks about the innovative ‘Active Burngreave’ project in Sheffield. To submit an article, contact hello@connectsport.co.uk. 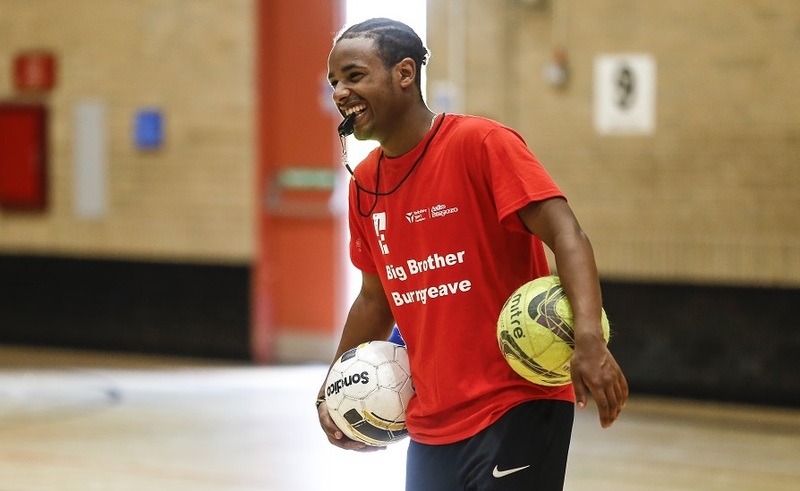 Active Burngreave launched in 2016 as a two-year pilot co-funded by Comic Relief and Sport England to test the concept of ‘place-based’ delivery on a community situated in one of the UK’s most deprived wards. Instead of parachuting in a programme and delivery staff from outside of the area, it adopted an enlightened approach by asking the Burngreave community – which is almost 50% BAME – what it felt its needs were, and appointed local people to lead the resulting programmes. “We wanted to know if a place-based approach could help to produce a greater impact when a community is given a say in how money is spent,” explains Kathryn Mudge, Development Manager at Yorkshire Sport Foundation, the local County Sport Partnership (CSP). The pilot ended in June 2018 and, according to Kathryn, was “hugely successful”; so much so that Comic Relief recently committed to funding it for a further two-and-a-half years. 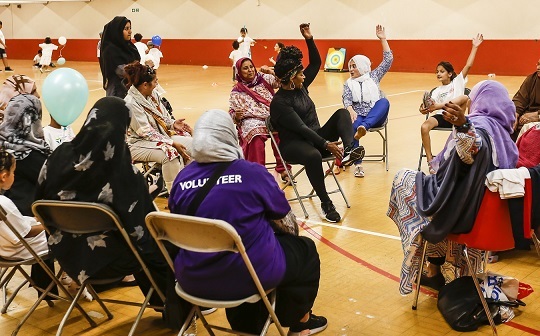 During the two years, 580 weekly sessions saw 1043 people (63% Asian, 17% Somali, 10% Roma/Slovak, 4% Arabic and 3% White British) involved in a wide range of activities including football, basketball and boxing to a ‘social café’ for older people to socialise and get active. More than 70 local people received training and are subsequently volunteering within local initiatives. But, as Kathryn explains, looking at the numbers in isolation does not do justice to the impact of the project – both in terms of the quality of the interventions involved, and the discussions – and subsequent new thinking – that it sparked within Yorkshire Sport Foundation, and its partners, across the county. “Burngreave is the most deprived area of Sheffield which has a lot of similarities with some of the other areas we cover, for example, in Bradford and Leeds. So we looked at how we might learn from this way of working, and look to do things in other localities. 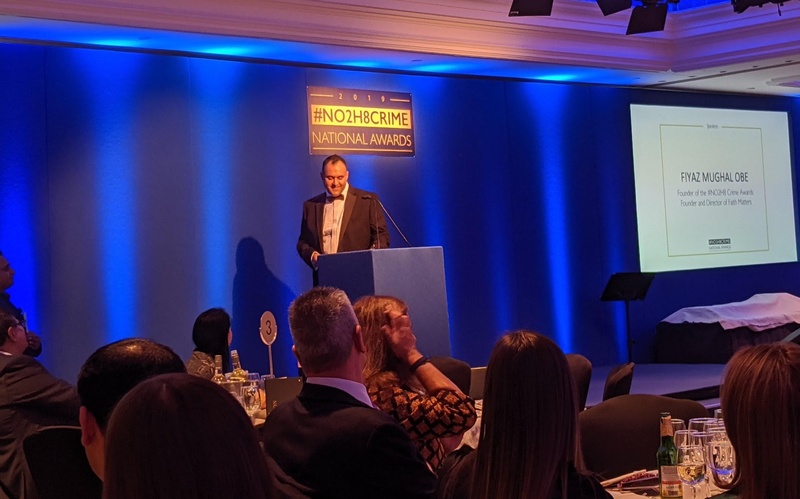 “The project has fundamentally changed the way we operate as an organisation and has led to wider work in other communities. We have tested ways of working, based upon community development principles, and now are looking to apply this learning in other communities. Those ‘empowered communities’ now stretch from Barnsley to Dewsbury, and from Wakefield to Leeds, with one particular project working with nine communities in the Dearne area of South Yorkshire. Kathryn says: “If you look at Leeds, we are now working more closely with the City Council who have invested in projects in the Inner East area – just outside the city centre across Killingbeck, Seacroft, Boggart Hill, Burmantofts and Richmond Hill. The leads for housing, transport and social care have come together to look at how we can best make people happier and healthier in those areas. Another key aspect has been finding the right ‘talent’ in the local communities, says Kathryn. That’s local people who may have not sporting prowess or even any affinity to sport, but do understand how their local communities think and behave. “Safiya Saeed is employed as our Community Development Worker in Burngreave, she is our go-to person and connector on the ground. She is from the area, is a mum of five, a governor at three schools and a college, and she runs her own volunteer youth group - she is very proactive in the community! “She is the heart and soul of the project, and drives it. Part of my role is unearthing similar people in the other communities, and mentoring them. It’s absolutely crucial that these people come from within the community. This sort of work can only go at the ‘speed of trust’, and everything happens much more quickly if you are a face that people know locally, and even better if you are a face that represents them. With such an emphasis placed on the social value of the programme – from reducing isolation and loneliness, and improving resilience, to increasing opportunities for training and education, and the aspirations of young people – Kathryn is adamant that this was the real success of Active Burngreave, as opposed to focusing on increasing the number of people who became physically active. “For me, it’s all about the qualitative element and the impact that it has on people,” she says. “I understand the need to know the number of people involved and for Government to know how money is being spent, but if you just say 1043 people have engaged, that alone doesn’t tell you what the impact is on those people. That’s why our reporting involves qualitative information, it involves tracking people over time, and it involves conversations because, without that, we don’t truly understand the impact we are having. “For the next two-and-a-half years we have got three outcomes for Active Burngreave that were selected by the community: to increase physical activity, to increase awareness of the importance of mental health; and finally improving wellbeing outcomes which we do through a wellness scale that asks questions around confidence, resilience and self-esteem. “We work with a small evaluation company that help us to devise surveys and we also use story tools, staff and volunteer observations, and conduct visits to the community to unearth the wider impact. We must be able to track the impact of our work. As for the long-term future, Kathryn would like to get to a point where the Foundation is no longer needed by these ‘empowered communities’. “We need these people and groups to be able to access funding themselves. It will take time, but our goal is to make activity sustainable within the community because it is delivered by trained, local people who are passionate about what they are doing. “We need to understand that this isn’t a case of just taking resources to a community, or that people just need more opportunities; otherwise resources could be continually ploughed into an area and not a great deal will happen. Find out more about the Yorkshire Sport Foundation on their ConnectSport directory page. To add your organisation to the directory, contact hello@connectsport.co.uk.